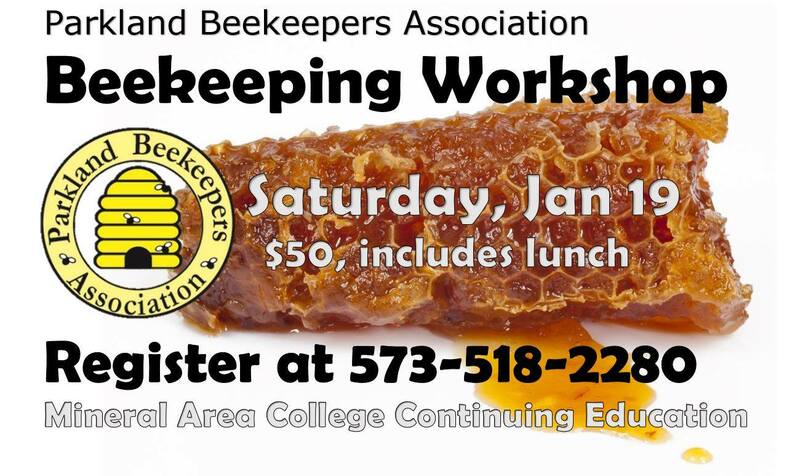 This informative workshop by the Parkland Beekeepers Association will feature 7 sessions covering a variety of topics on beekeeping as well an open forum to ask any questions that you may have. They will also have vendors, equipment to view, and giveaways! If you have always wondered what it took to get a hive started- or need help with your current hive- this is the perfect workshop for you. You must register before January 12, though! Call us at 573-518-2280 or email us at ContinuingEd@MineralArea.edu to register today!